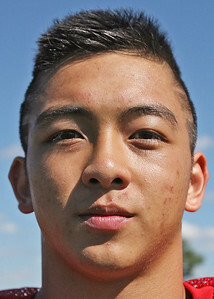 Matthew Apgar - mapgar@shawmedia.com Jarryd Cabusao poses for a headshot during football practice for Marian Central on Tuesday, July 21, 2015 in Woodstock. 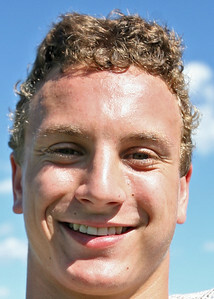 Matthew Apgar - mapgar@shawmedia.com Kyle Darbro poses for a headshot during football practice for Marian Central on Tuesday, July 21, 2015 in Woodstock. 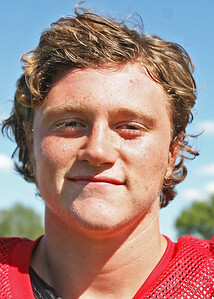 Matthew Apgar - mapgar@shawmedia.com Elias Edmondson poses for a headshot during football practice for Marian Central on Tuesday, July 21, 2015 in Woodstock. 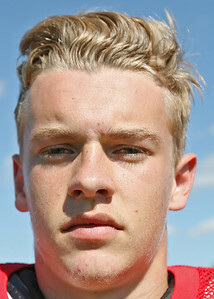 Matthew Apgar - mapgar@shawmedia.com Gavin Dineen poses for a headshot during football practice for Marian Central on Tuesday, July 21, 2015 in Woodstock. 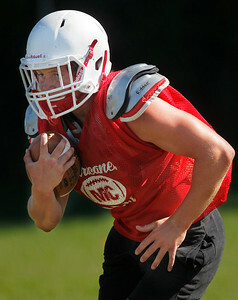 Matthew Apgar - mapgar@shawmedia.com Quarterback Kolton Rominski looks for an open man to pass to during football practice for Marian Central on Tuesday, July 21, 2015 in Woodstock. 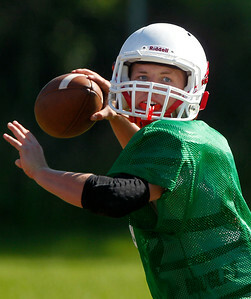 Matthew Apgar - mapgar@shawmedia.com Quarterback Joey Budmayr, right, hands the ball off to Elias Edmondson during football practice for Marian Central on Tuesday, July 21, 2015 in Woodstock. 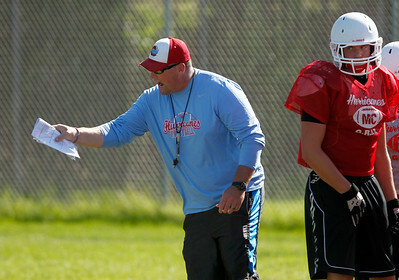 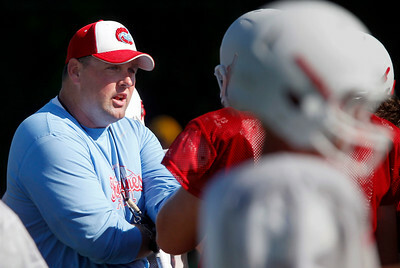 Matthew Apgar - mapgar@shawmedia.com Coach Mike Maloney directs the drills during football practice for Marian Central on Tuesday, July 21, 2015 in Woodstock. 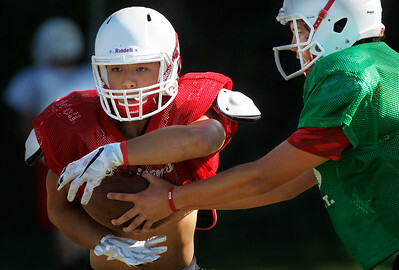 Matthew Apgar - mapgar@shawmedia.com Quarterback Joey Budmayr, right, hands the ball off to Jarryd Cabusao during football practice for Marian Central on Tuesday, July 21, 2015 in Woodstock. 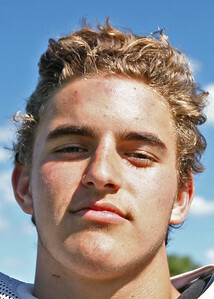 Matthew Apgar - mapgar@shawmedia.com Joey Budmayr poses for a headshot during football practice for Marian Central on Tuesday, July 21, 2015 in Woodstock. 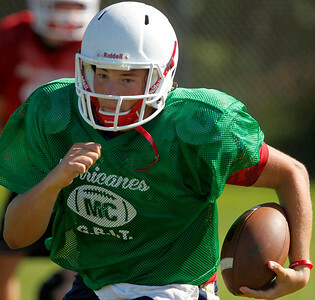 Matthew Apgar - mapgar@shawmedia.com Emitt Peisert runs the ball downfield during football practice for Marian Central on Tuesday, July 21, 2015 in Woodstock. 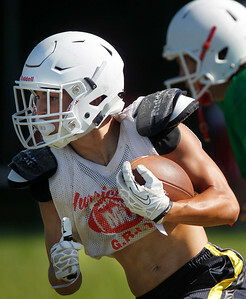 Matthew Apgar - mapgar@shawmedia.com Jarryd Cabusao runs the ball downfield during football practice for Marian Central on Tuesday, July 21, 2015 in Woodstock. 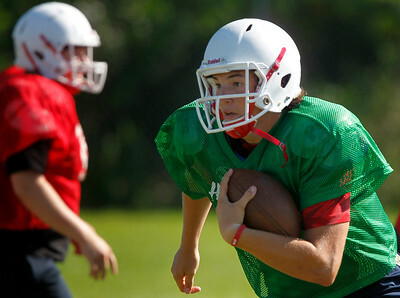 Matthew Apgar - mapgar@shawmedia.com Quarterback Joey Budmayr runs the ball downfield on a keeper play during football practice for Marian Central on Tuesday, July 21, 2015 in Woodstock. 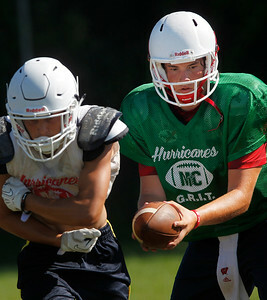 Matthew Apgar - mapgar@shawmedia.com Quarterback Joey Budmayr looks to hand the ball off after a fake to Elias Edmondson, left, during football practice for Marian Central on Tuesday, July 21, 2015 in Woodstock. 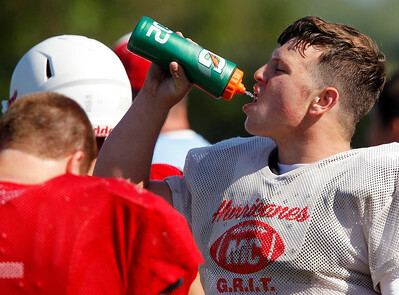 Matthew Apgar - mapgar@shawmedia.com Gavin Dineen takes a drink of water during football practice for Marian Central on Tuesday, July 21, 2015 in Woodstock. 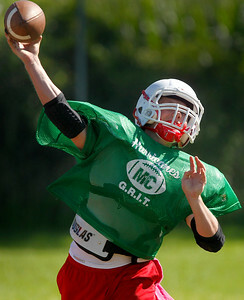 Matthew Apgar - mapgar@shawmedia.com Quarterback Kolton Rominski extends for a pass during football practice for Marian Central on Tuesday, July 21, 2015 in Woodstock. 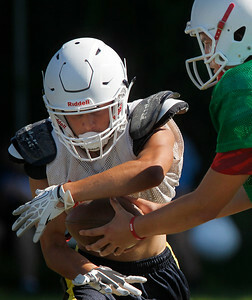 Matthew Apgar - mapgar@shawmedia.com Elias Edmondson runs the ball downfield after a handoff from quarterback Joey Budmayr, right, during football practice for Marian Central on Tuesday, July 21, 2015 in Woodstock. 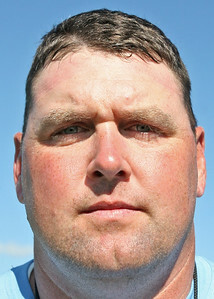 Matthew Apgar - mapgar@shawmedia.com Coach Mike Maloney poses for a headshot during football practice for Marian Central on Tuesday, July 21, 2015 in Woodstock. 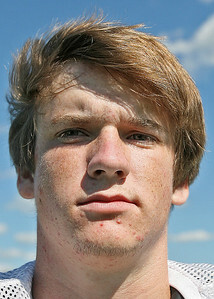 Matthew Apgar - mapgar@shawmedia.com Ike McGuire poses for a headshot during football practice for Marian Central on Tuesday, July 21, 2015 in Woodstock. 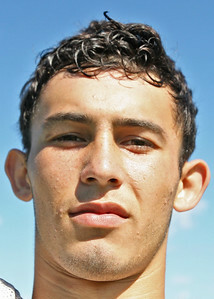 Matthew Apgar - mapgar@shawmedia.com Mike Miceli poses for a headshot during football practice for Marian Central on Tuesday, July 21, 2015 in Woodstock. 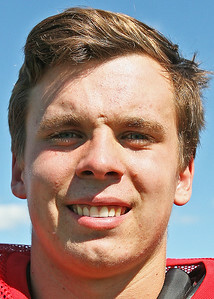 Matthew Apgar - mapgar@shawmedia.com Jack Niemaszek poses for a headshot during football practice for Marian Central on Tuesday, July 21, 2015 in Woodstock. 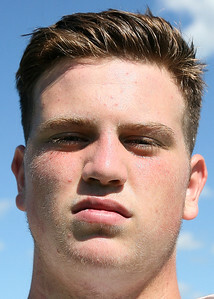 Matthew Apgar - mapgar@shawmedia.com Emitt Peisert poses for a headshot during football practice for Marian Central on Tuesday, July 21, 2015 in Woodstock. 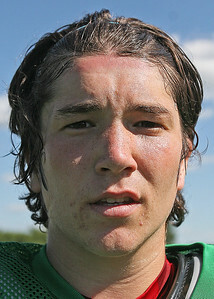 Matthew Apgar - mapgar@shawmedia.com Kolton Rominski poses for a headshot during football practice for Marian Central on Tuesday, July 21, 2015 in Woodstock. 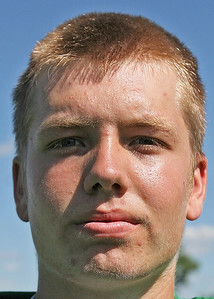 Matthew Apgar - mapgar@shawmedia.com Eric Rushke poses for a headshot during football practice for Marian Central on Tuesday, July 21, 2015 in Woodstock. 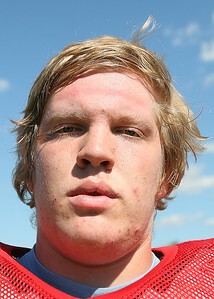 Matthew Apgar - mapgar@shawmedia.com Luke Tegtman poses for a headshot during football practice for Marian Central on Tuesday, July 21, 2015 in Woodstock. 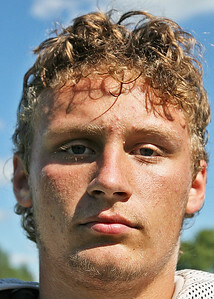 Matthew Apgar - mapgar@shawmedia.com Zach Teegan poses for a headshot during football practice for Marian Central on Tuesday, July 21, 2015 in Woodstock. 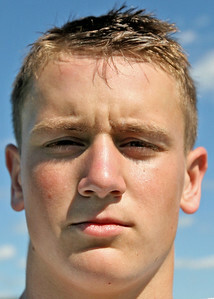 Matthew Apgar - mapgar@shawmedia.com Brendan Yarwood poses for a headshot during football practice for Marian Central on Tuesday, July 21, 2015 in Woodstock. 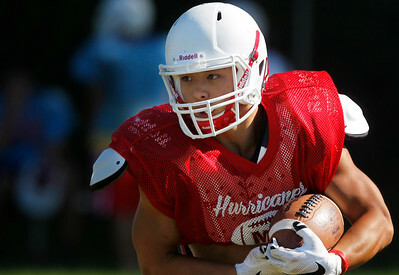 Jarryd Cabusao poses for a headshot during football practice for Marian Central on Tuesday, July 21, 2015 in Woodstock.